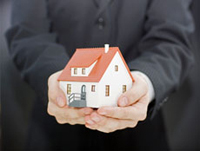 Richmond Property Management, Richmond Property Managers, Richmond, VA Property Management Companies. We offer a full range of property management services tailored to you as an investor, homeowner, or landlord as well as our expertise and personalized techniques of managing your property. Our management concept is founded on professionalism, integrity, accountability, and quality service that guarantees the maximum return from your investment while maintaining your property at the highest standards to attract the best tenants possible. Marketing is the key to successful rentals. VC Solutions LLC provides an expert market analysis for each property we manage to maximize your return on investment. We conduct inspections upon move-in, quarterly and annually that include documentation of the property’s condition and ensure all maintenance issues are addressed in a timely manner. In the unfortunate event that a tenant needs to be evicted from your rental, we will work diligently to remove the tenant in a timely manner.